KICKING OFF THE NEW YEAR WITH A REVIEW OF THE BEST BOOK OF 2013! Unhinged is a book that I've been waiting for since reading Splintered. While Splintered held a creepy retelling of Wonderland, Unhinged was all on its own and so original. Unhinge held a firm plot that kept hitting me in the face. Every guess I had about what was upcoming was never completely right and Unhinged made a total fool out of me. The foreshadowing was fresh and subtle whereas the red herrings were just there and those were what I completely picked up on. Wonderland's back and this time invading the normal (sort of) life of Alyssa Gardner; aka Alice's relative. All the wonderland characters return to help Alyssa as she needs to fight the Red Queen...again. (And yes, it is an epic battle indeed). This is the sequel to Splintered but so original and different that this sequel went in a completely different direction. Our main character Alyssa Gardner is even stronger than she was in Splintered. She seemed more "together" as a character and I ended up really enjoying her presence. She had such a heroic and diamond in the rough personality because even though she was a hero, she had selfish reasons to not want to help save the world. And even that, I still connected with and took interest in her. She was also the glue to this madness of a story. I can say the same the the rest of the love triangle (of sorts). Jeb and Morpheus are back and just as exciting! Same comment as to Alyssa; these characters are so well built. They are characters who compliment Alyssa and hold essential parts to this story. As well, readers will swoon over their bad boy personas and sweetness towards the lovely protagonist. And as a general to all characters, Howard writes creative dialogue. She builds characters, develops them and writes smart dialogue that reflects very clearly on the character. Its one of the things that make her a unique and different writer; she is so good at getting everything to make sense and be thorough without missing a beat. My main uncertainty with Howard is her talent for winding stories. Though they are so interesting, intriguing, inventive...any other words that start with I, they're also very confusing if you don't read slow. I, myself, am a fast reader and I actually had to read Splintered twice because of the confusion. If you aren't a slow reader, I honestly suggest buckling down for this one. There are so many events that connect so that even missing one piece of information can confuse you. Howard's writing is also as mad and nonsensical as the story itself. I can't imagine her writing anything else. Her writing is eerily descriptive, filled with dark humor and her main talent is stealing your attention and not letting it go. Her prose is also what sold me throughout and what I feel is missing in so many YA authors -their voice. I believe that this author is one of the genuine ones that I, as a YA reader live for. Anita Grace Howard takes a look at all the YA tends and cliches while laughing at them and spinning a completely different story. 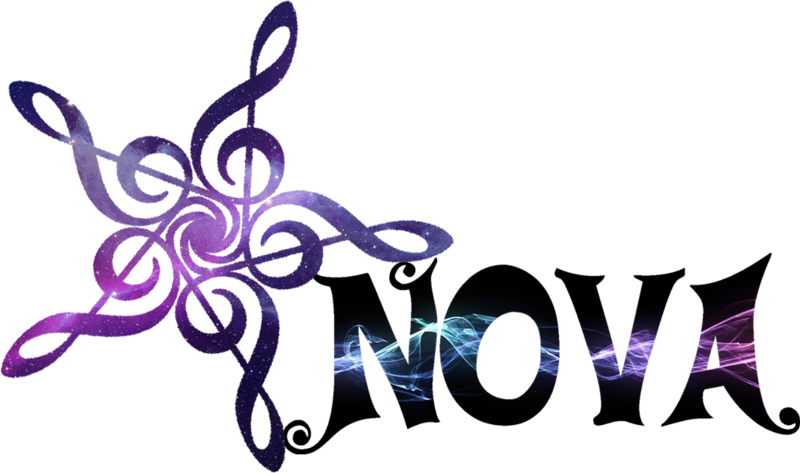 She'll be the one re-introducing "original" stories back to the YA community! I loved Splintered, and I'm so excited to read Unhinged! Her writing sounds just as good as the first, and I'm looking forward to reading more about Wonderland. Great review :) btw, I love your blog design. 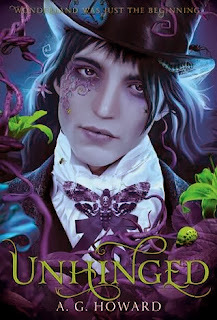 This is the first review I've seen of Unhinged and it doesn't disappoint :) I'm so glad to hear it's a great sequel because I was obsessed with Splintered! Love the name change-great choice! I love this review! I can't wait to read this book next. You bet I'll be putting down whatever else I have going on to read it. But man! Oh man. I can't wait for this book! Amazing reviews are everywhere! I WANT TO KNOW!